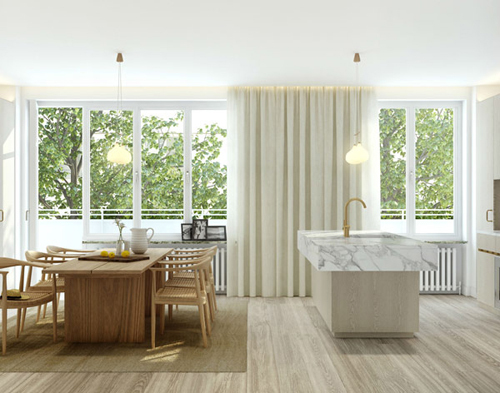 Oscar Properties is creating some stunning interiors in Stockholm. They feel contemporary yet very warm and homey. 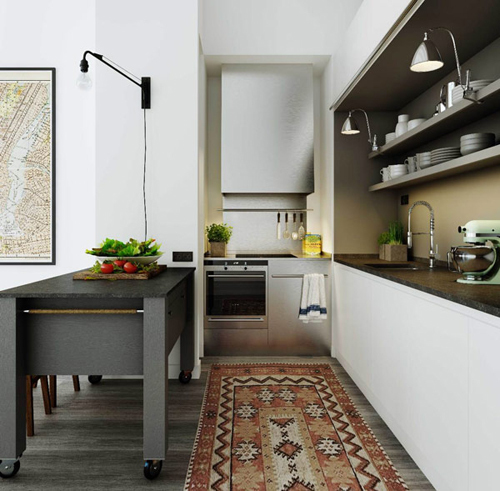 Really like this mix of materials and this eclectic rug. 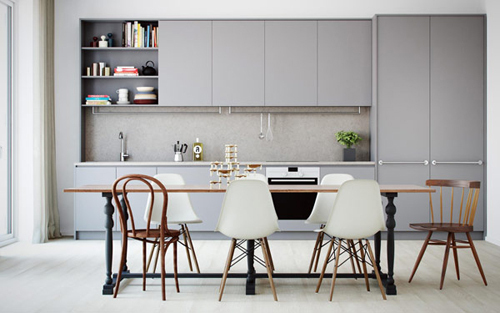 I am definitely digging painted grey cabinets lately! Not so crazy about the mix of chairs. Love the rug in that first pic! Adds such a nice touch to an otherwise modern room.